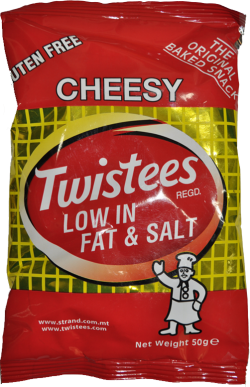 Cheesy Twistees Low in Fat & Salt is based off of the original rice based Cheesy Twistees but is lower in fat and sodium. It was formulated on the initiative of having healthier snacks in schools. 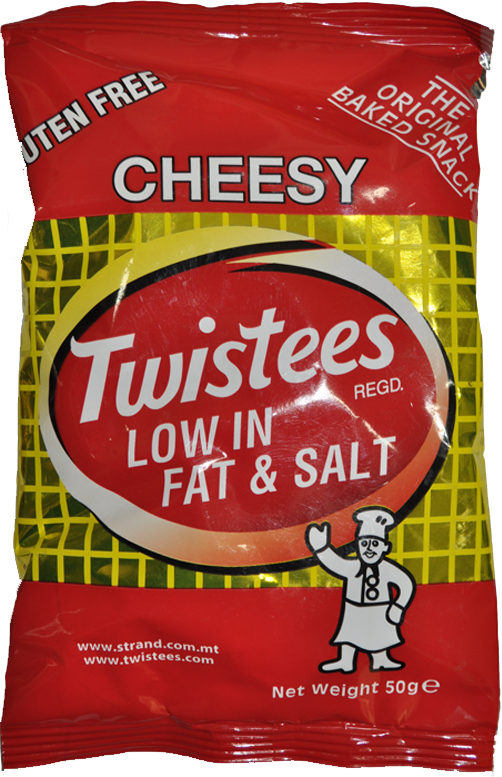 Cheesy Twistees Low in Fat & Salt is packed in an air-tight and metallized bag and is also Gluten Free! Each packet weights 50grms and each box contains 48 packets. 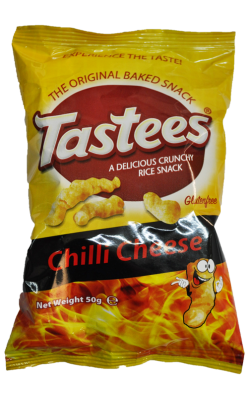 This item consists of a box with 48 packets which all weight 50g each. 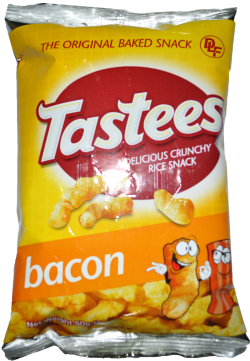 It is a crunchy snack with a bacon taste.